DROWNED EARTH' finale! Aquaman faces the truth behind Atlantis' past and must find a way to reclaim the power of his birthright or watch the floodwaters drown everything he has ever loved! 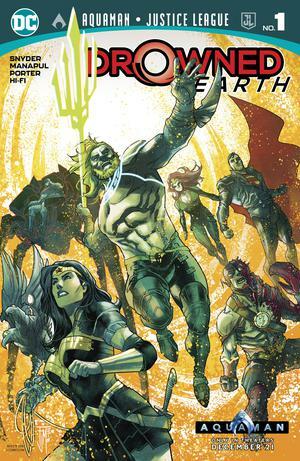 With the world at stake and the Justice League on their last sea legs in their battle against the Ocean Lords, Arthur makes the ultimate sacrifice to return balance to land and sea!